Chauffeured cars for your every need. We have something for your every need. Know your exact fare even before you book. 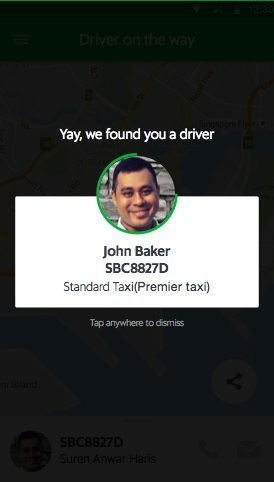 We’ve got your back from the moment you enter a GrabCar. 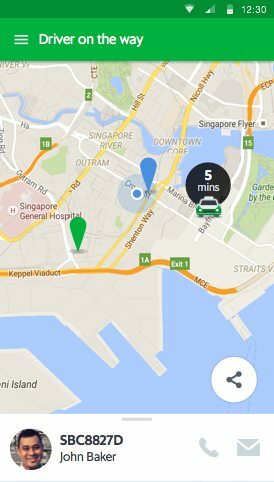 Every GrabCar driver is rigorously screened and rated (by you) to ensure you get the best service. Various car options to suit your needs. Everyday cars for everyday needs. Luxury cars for business needs or a special occasion. Bigger cars at everyday prices. A little more space, a little more luxury. Demand Surcharge Based on demand-supply ratio of cars in the area (dynamic pricing). Location surcharge for drop-offs at Fuji Xerox Towers. 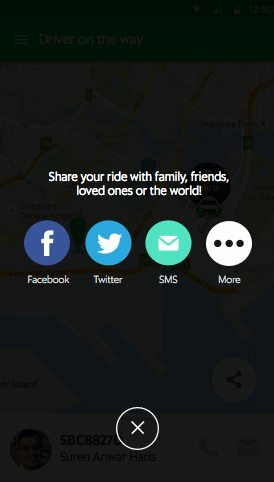 *A 5 minute grace period is provided during pick-up for all services except GrabShare, which has a 3 minute grace period. If the driver is required to wait for the passenger for longer than the grace period, waiting time surcharges apply in 5 minute blocks. **For example: 0 - 5km, $5 | 5.1 - 10km, $10 | 10.1 - 15km, $15 (distance here refers to extra travel distance above and beyond the original booked ride). ***Safer rides for your little ones are now our priority when you use GrabFamily – one booster seat for a child aged 4-7 yrs will be provided for just $2 more than your usual GrabCar fare. Additional stop**: $5 per additional stop with max 1 additional stop. ** $5 per additional stop refers to additional stops along the way and without causing extra travel distance. It only applies to cases where passengers want to add additional stops after the booking is made. ***Additional distance refers to the additional travel distance compared to the original ride booked. It only applies to cases where passengers want to add additional stops after the booking is made. ****Safer rides for your little ones are now our priority when you use GrabFamily – one booster seat for a child aged 4-7 yrs will be provided for just $2 more than your usual GrabCar Premium fare. Demand Surcharge Based on demand-supply ratio of cars in the area, capped at $100 (dynamic pricing). Midnight surcharge of $10 during 12:00 - 6:00 AM. Toll charges (ERP/Sentosa) incurred from pick-up point to destination. Additional distance***: 0 - 5km = $7.50, 5.1 - 10km = $15, 10.1 - 15km = $22.50, and 15.1 - 20km = $30. ****Safer rides for your little ones are now our priority when you use GrabFamily – one booster seat for a child aged 4-7 yrs will be provided for just $2 more than your usual GrabCar 6-Seater (Premium) fare. 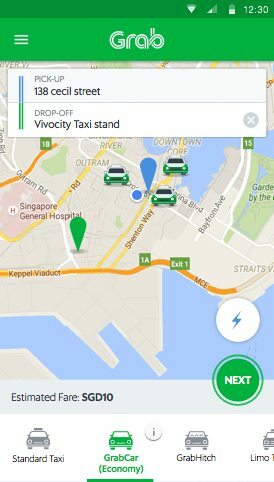 GrabCar is a product under the Grab app that allows passengers to book a chauffeured ride for a fee. Grab ensures only vehicles and drivers with the appropriate commercial licenses are allowed to register as GrabCar service providers. Can I drop my friend off at another location? Yes, additional surcharges apply for extra stops made. Kindly refer to additional surcharges under the relevant GrabCar sections.